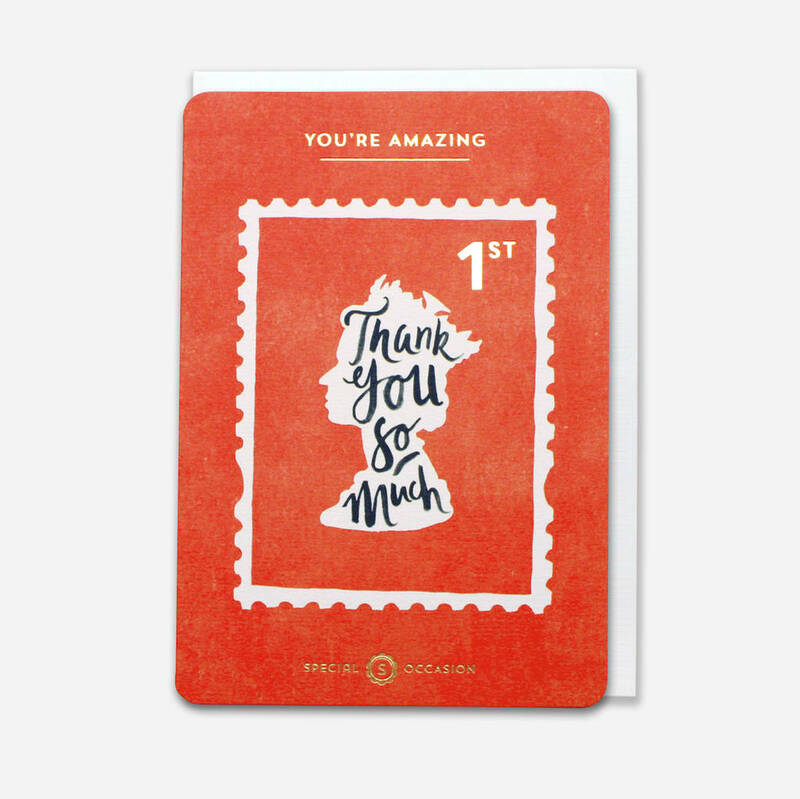 A very British card design of the queens head with the words 'Thank you so much' written inside. Hand painted with brush and ink. 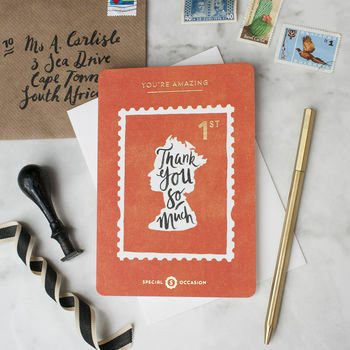 A very British card design, inspired by a stamp of the queens head with the words 'Thank you so much' written inside. 'You're amazing' and 'Special Occasion' is printing in Gold foil. The card is blank inside for your own message. An ideal card to give to somone to say a big thank you.